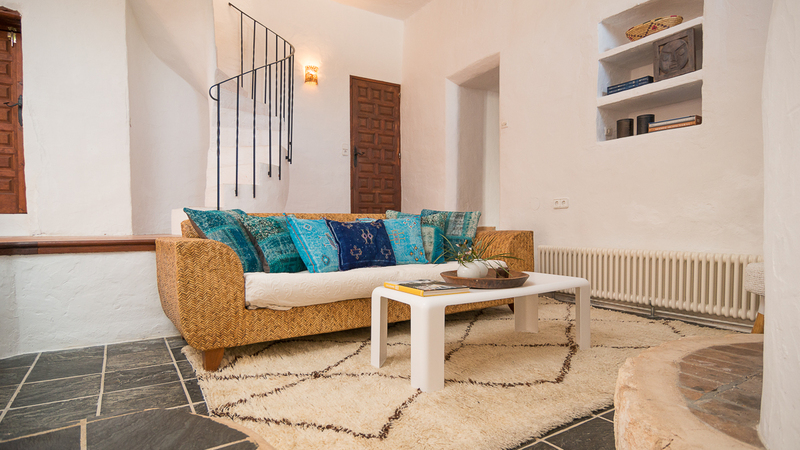 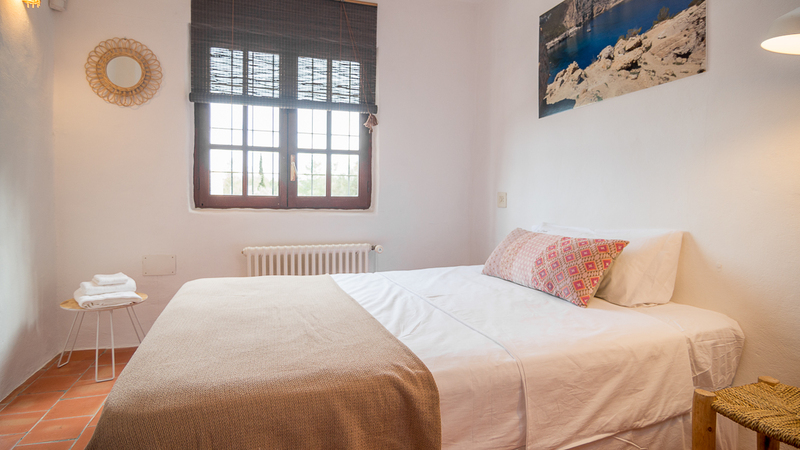 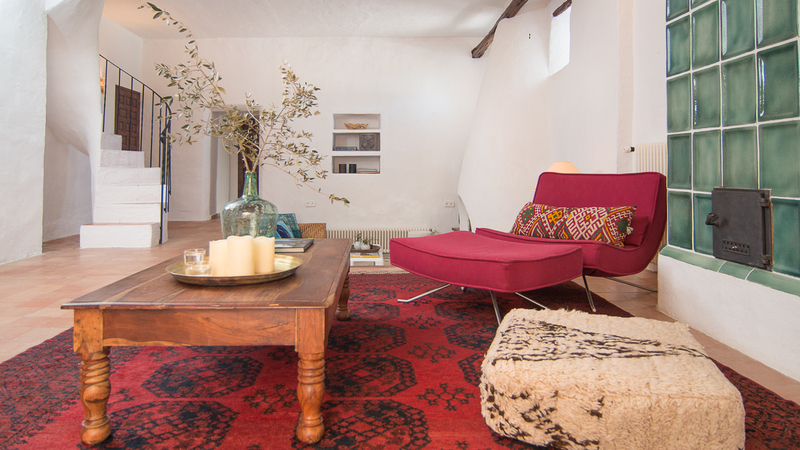 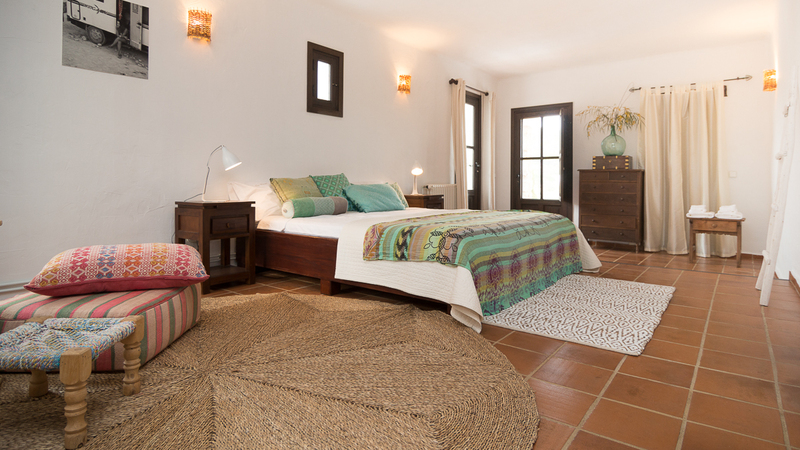 This fabulous refurbished traditional finca in the heart of the Island is only four minutes away from Santa Gertrudis and the fully equipped stunning finca with separate guesthouse offers 6 bedrooms sleeping up to 13 guests. 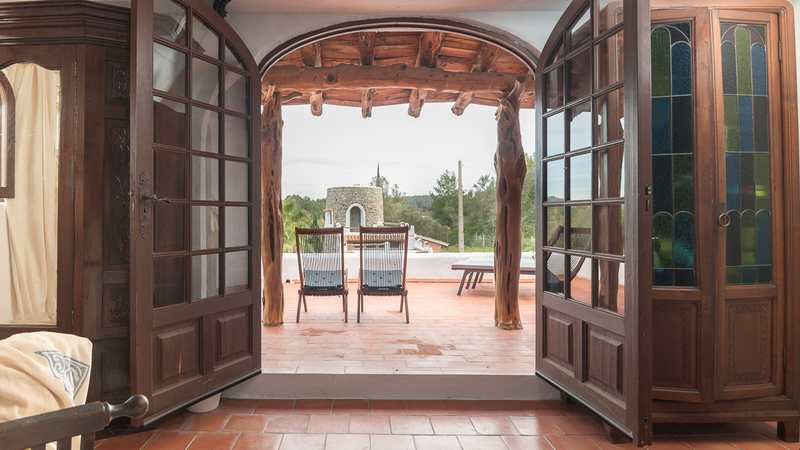 This breathtaking family villa has been completely refurbished in 2016 and captures the magic of the Ibicencan countryside. 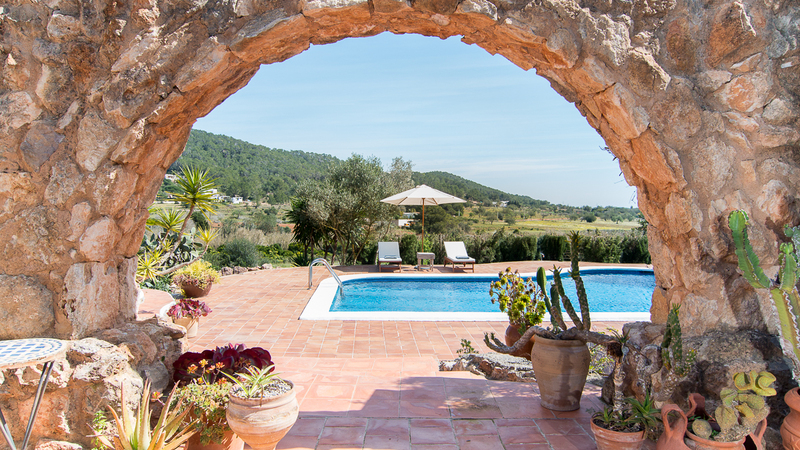 The villa is located at the end country road boasting total privacy with incredible long eastward views across an amazing open valley and is surrounded by fields and various fruit trees. 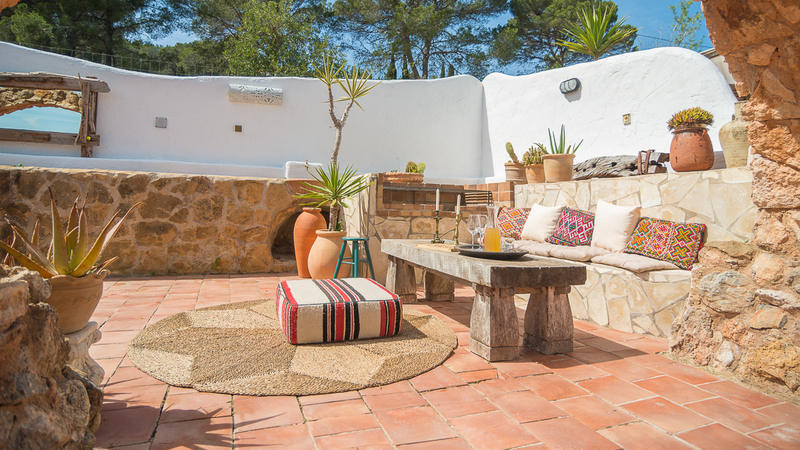 A giant lawn, various chill-out areas and a large pool all combine to provide guests with a wonderful outside space to enjoy. 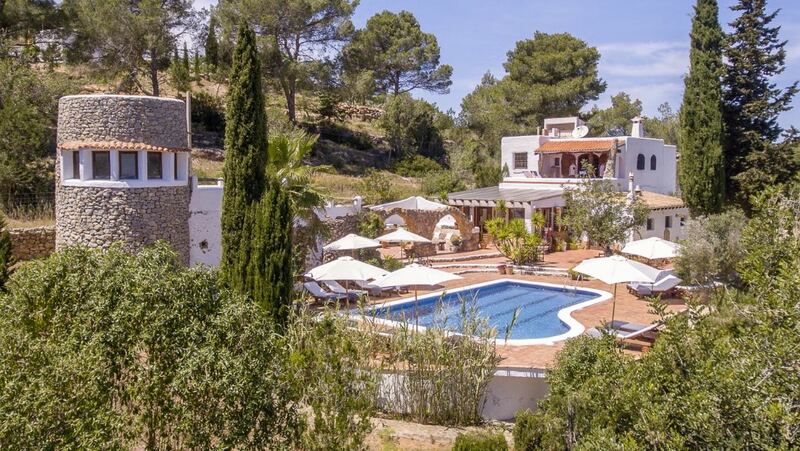 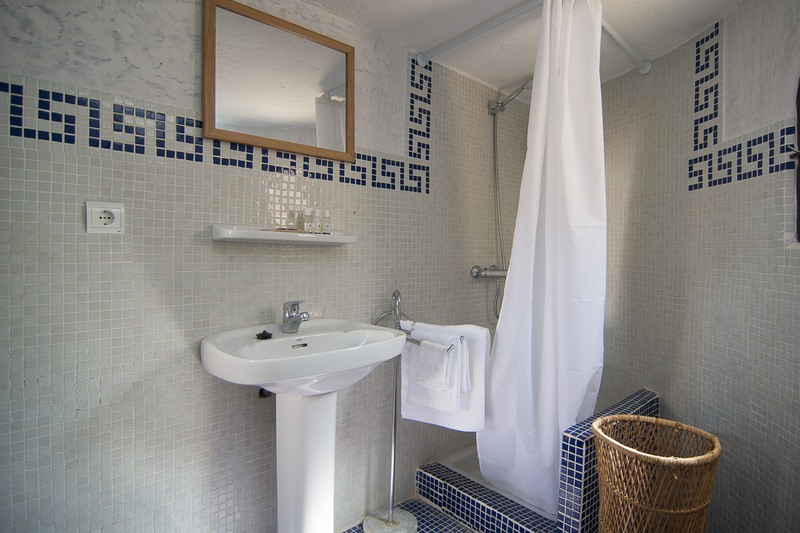 This villa dates back over 250 years, but has been recently refurbished to offer guests all the necessary modern facilities and amenities, with a stylish, chic finish throughout. 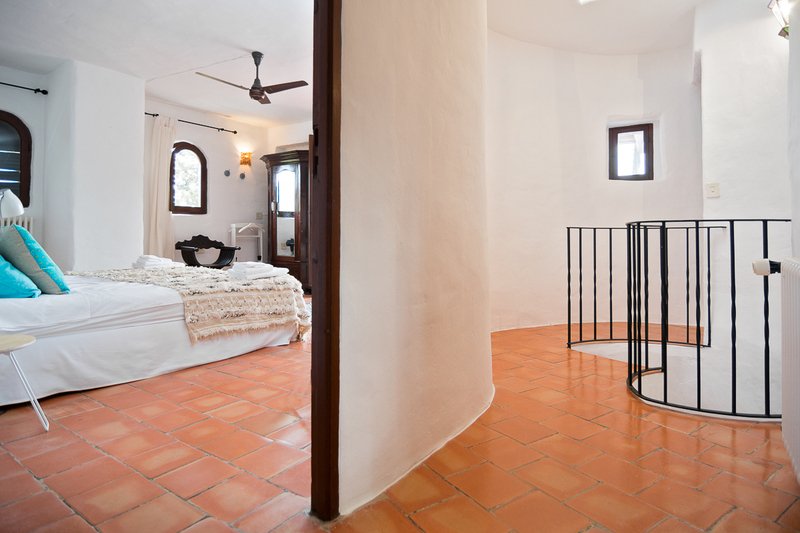 The main house has three double bedrooms , two single bedrooms and two bathrooms in total. 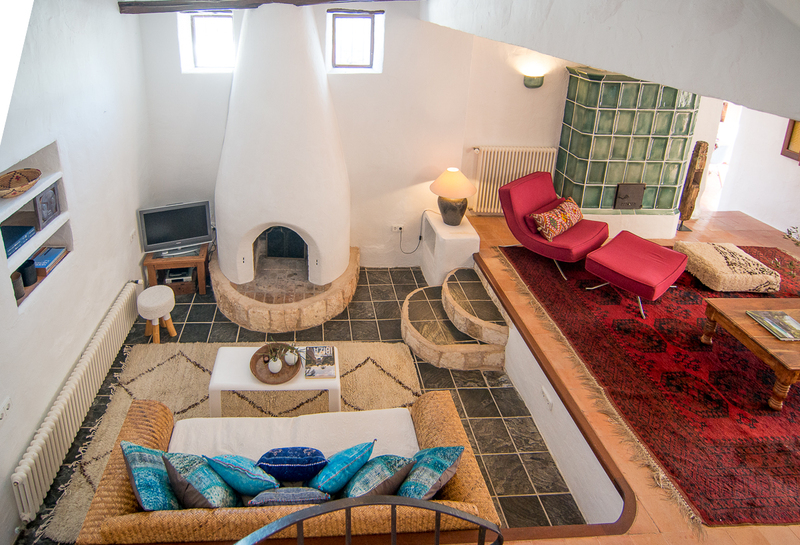 The huge open plan living area offers a sunken living room with sofa and TV area and numerous other seating and relaxation areas. 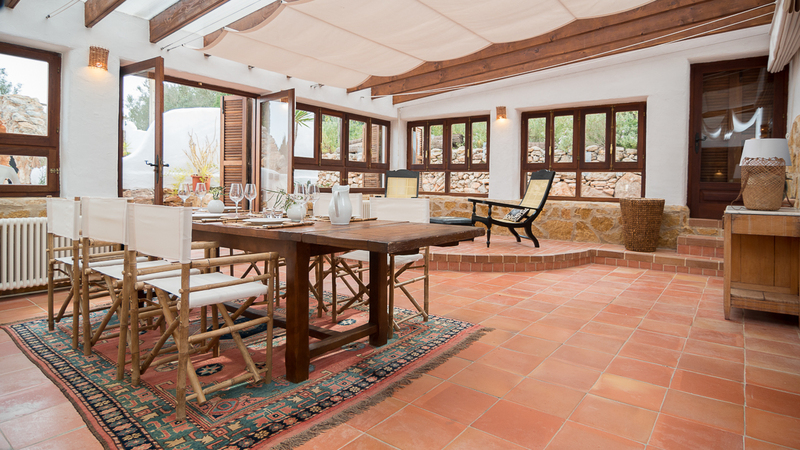 This space is beautifully styled and finished throughout and opens to the incredible dining area which offers a stunning dining table for fourteen and a great seating area to the take in the breathtaking views through the vast windows that warp this room. 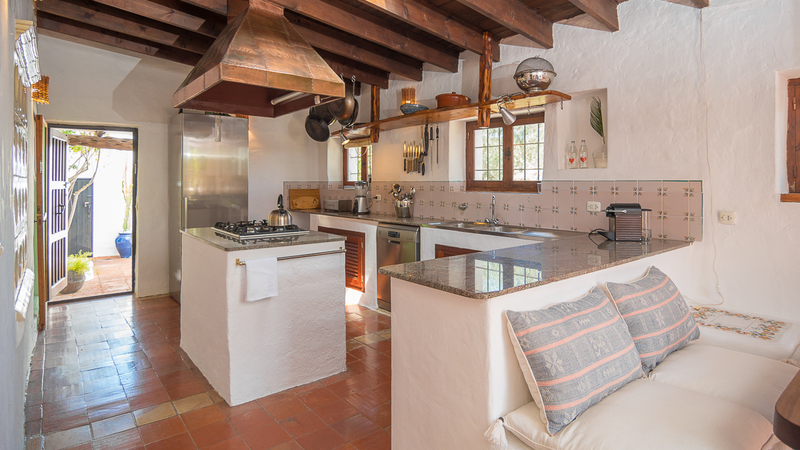 The connecting traditional farmhouse kitchen offers guests all the latest mod cons and appliances to cater for guests. 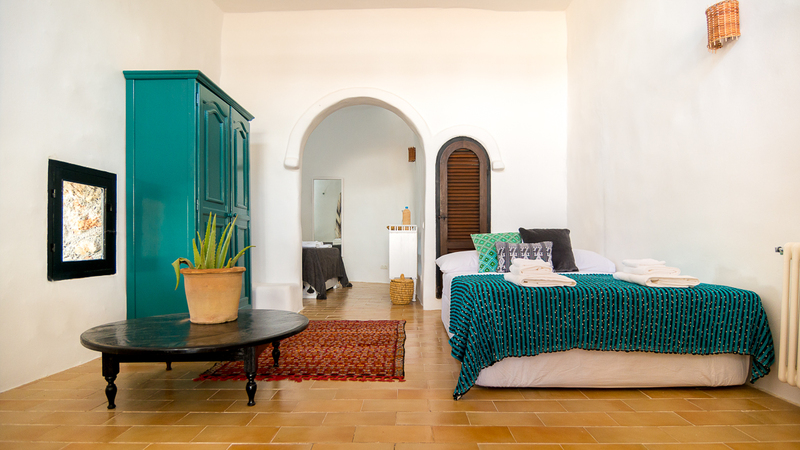 Opposite the main house the property offers a stunning separate traditional guesthouse which has been refurbished and modernised throughout to offer guests a fully self contained house complete with all the necessary facilities and amenities. 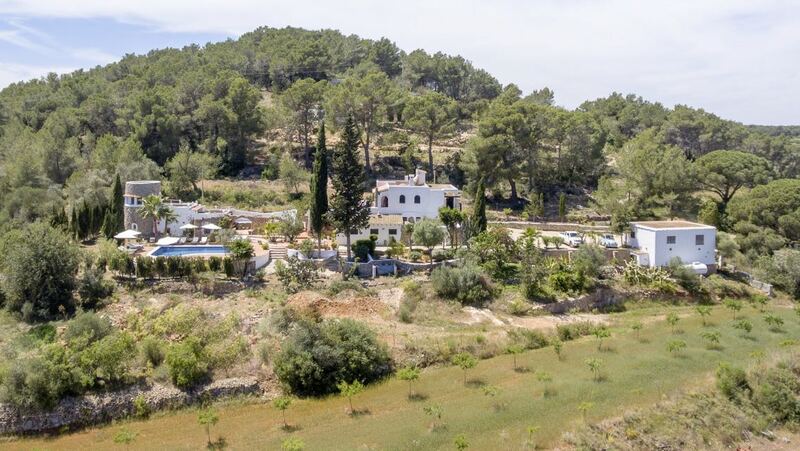 It is complete with kitchen and bathroom providing a great level of privacy from the main house making it an ideal option for sharing families and friends. 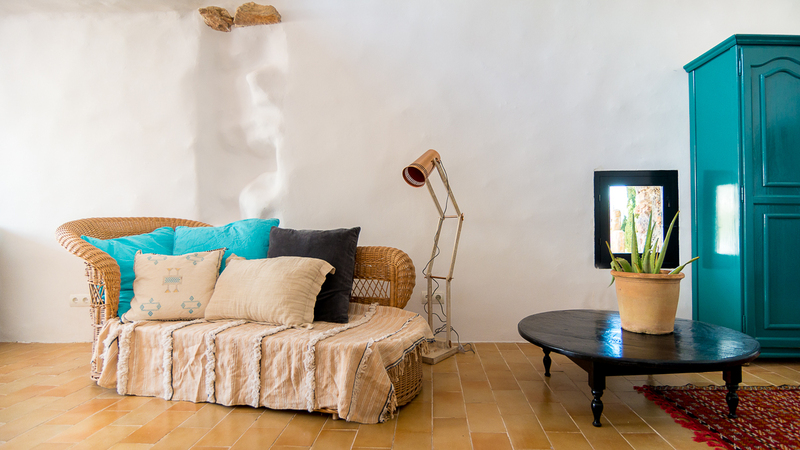 The wonderful chic town of Santa Gertrudis, with its great restaurants, bars and shops is a only 4 minutes away, and you can be in Ibiza Old Town, Pacha or Marina Botafoch in only 10 minutes. 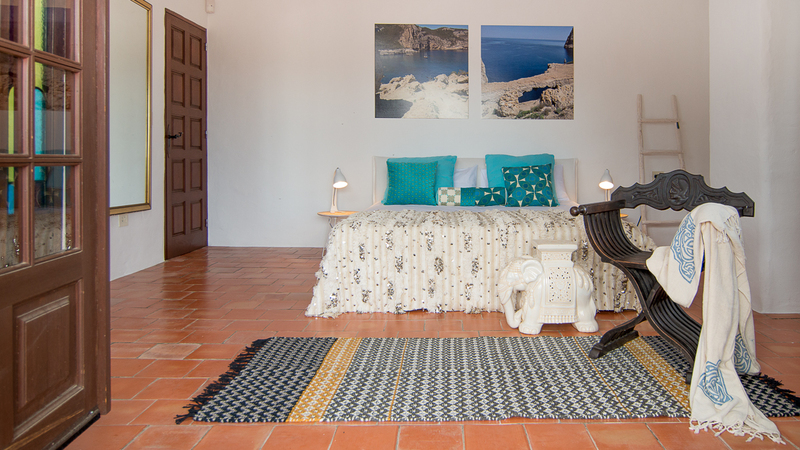 Due to the central location you can reach all of the islands beaches in under thirty minutes.